KIEV, Ukraine -- Despite a ceasefire signed in February that was supposed to have been completely implemented by the start of 2016, the prospect of peace in Ukraine remains elusive. 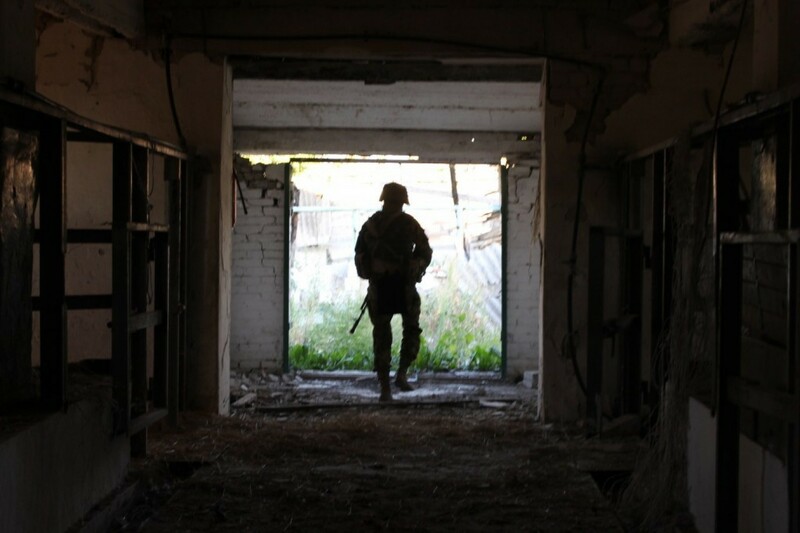 A soldier from 7th company patrols through a destroyed farmhouse in Pisky Ukraine. The war in the country’s east between government troops and Russian-backed separatists — periodic lulls in the fighting notwithstanding — has remained largely unchanged since earlier this year. While some heavy weapons, such as tanks and artillery, have been removed from the front lines, both sides still clash daily. On Wednesday, the leaders of Germany, France, Russia and Ukraine agreed to extend the current ceasefire — known as the Minsk Agreements — into 2016, according to a statement released by the French government. The first Minsk peace deal, signed in September 2014 collapsed almost immediately. The second, implemented in February, has dampened some of the fighting and allowed the implementation of some parts of the ceasefire. The four leaders also discussed upcoming local elections in Donetsk and Luhansk, the two regions of eastern Ukraine that broke away from the country following protests in the spring of 2014. The local elections hope to normalize relations between the restive east and the government in Kiev. The multinational watchdog group, the Organization for Security Co-operation in Europe has been largely responsible for monitoring both sides of the conflict since the signing of the last Minsk agreement. On Thursday the OSCE’s chief monitor for its mission to Ukraine, Ambassador Ertugrul Apakan, expressed hope for peace, but reiterated that a true ceasefire is a way off. “The fact that the number of ceasefire violations in the last weeks of December had increased again in eastern Ukraine reflects a worrying development as the year ends,” Apakan said in a statement. 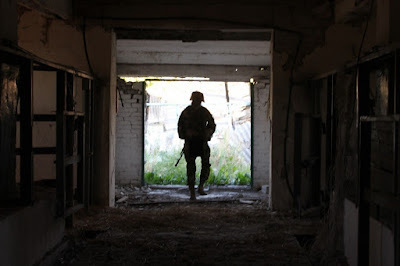 In December there was a marked increase in fighting, especially around the city of Donetsk. In addition to heavy machine guns and mortars, there have been multiple reports regarding the use of BM-21 Grad multiple launch rocket systems, a weapon explicitly banned by the Minsk ceasefire. Last week, Ukrainian forces reported that separatist troops, along with tanks and other vehicles entered the town of Kominternovo near the strategic port city of Mariupol. The small village is in a grey zone between government and separatist forces. A spokesman for the Ukrainian troops, Anton Myronovych called the move a “large-scale provocation,” during an interview with a Ukrainian television station. On Sunday, OSCE observers came under fire from separatist forces near Kominternovo after heading to the village to investigate if it had, in fact, been taken over and to conduct crater analysis following fresh fighting there. According to the monitoring group’s reports, villagers stated that separatist troops had entered the town. The villagers also recalled hearing armored vehicles at night; however, the OSCE could not confirm if Russian-backed separatist troops were still in the town because they were restricted from proceeding past its western border, according to a Monday report. Though Russia has repeatedly denied the presence of Russian troops in Ukraine, earlier this month, Russian President Vladimir Putin seemed to acknowledge that his country’s forces were, at least indirectly, influencing military operations there. “We never said there were not people there who carried out certain tasks including in the military sphere,” Putin said at an annual press conference. Putin’s partial recognition of his intervention in Ukraine comes as most of the world remains focused on Russia’s current operations in Syria and its air campaign there in support of his long-time ally Syrian President Bashir al-Assad. Despite Russia’s commitment of military forces in the Middle East, Russian troop levels in Ukraine remain mostly unchanged, according to NATO’s top commander U.S. Air Force General Philip Breedlove. Breedlove’s comments, made to reporters at the end of October came just a month after Russian began flying its first sorties over northern Syria. Breedlove went on to say that Russia’s actions were meant to take “the world’s eyes” off what is happening in Ukraine. “What we have not seen is Russia removing any of its forces in Ukraine. As you have heard me report at this podium before, command and control, air defense, artillery spotting support, artillery support, personnel, supplies, all still being supplied to the Donbass by Russia,” Breedlove said, referring to the area covered by Donetsk and Luhansk. According to a United Nations High Commissioner for Human Rights report released in December, there have been more than 28,000 casualties in Ukraine since the war began last year, including more than 9,100 killed. In addition to the dead and wounded, more than 1.5 million have been internally displaced as a result of the conflict.